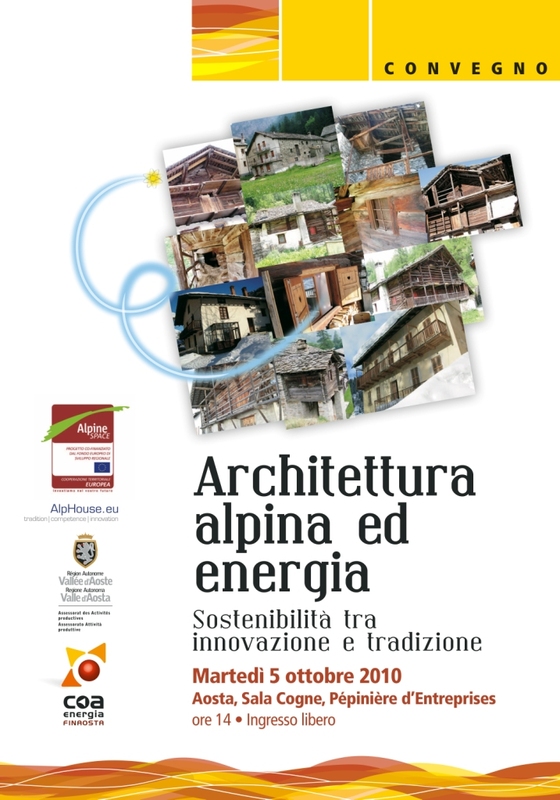 On October 5th, 2010 the conference "Alpine architecture and energy. Sustainability between innovation and tradition” will be held in Aosta, at the Sala Cogne, Pépinière d'entreprises Espace Aosta, the event is organised in the context of the European project AlpHouse, by the Department of Production Activities in cooperation with COA Energia Finaosta. It offers an important opportunity to discuss the issues of alpine architecture and energy and the combination of tradition and innovation. It will be a journey through experiences and feelings from outside the region as well as at local level, starting from the relationship between the Alpine environment and architecture, continuing with the exploration of energy requalification of buildings and villages; it therefore represents an opportunity for exchange of knowledge between the institutions, professionals and the SMEs involved in the construction sector and the general public, in the protection of cultural heritage, in project design and in the execution of works aimed at energy optimisation. 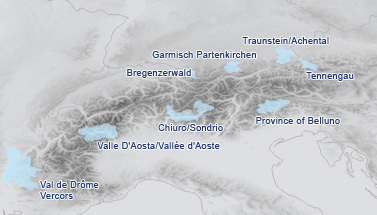 The second part of the conference, in particular, focuses on the European project AlpHouse: this project is the starting point for the exchange of experiences on an extra-regional level which aims at enhancing local expertise and is the beginning of a major process that seeks to optimise the combination of energy and alpine architecture.